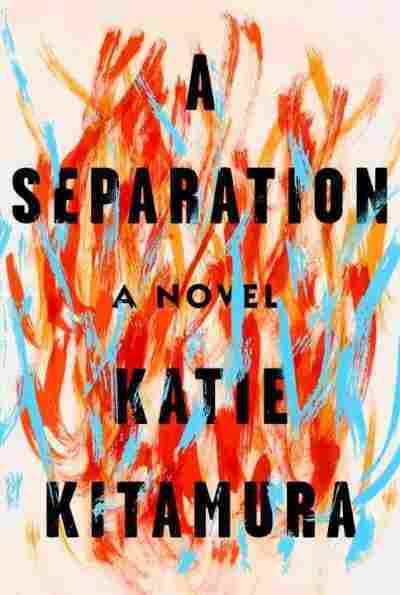 Book Review: 'A Separation,' By Katie Kitamura Katie Kitamura's new novel follows an unnamed narrator who tails her estranged, disappeared husband to Greece — while keeping the ominous surroundings and disquieting emotions at a cool remove. A man named Christopher disappears in Greece. His estranged wife, the narrator, goes to find him. A Separation has several separations: the marital separation, the separation between the narrator and her public self, and between herself and the world around her, which she keeps at a careful distance. The narrator is detached and cool, a literary translator because "translation's potential for passivity appealed to me." Reading this novel is akin to speaking to an expressionless woman through several panes of glass, with unnerving and incomprehensible shapes swimming in the periphery. When she arrives, the Greek village is dense with omens: blackened hills, painted saints with their faces scrubbed out, stray dogs, an empty hotel, an intertwined couple on an illuminated balcony at night, a professional mourner keening, fashion models posing against a background of flames, lobster juice trickling down the lips of Christopher's mistress. As she waits for some sign of Christopher, latent menace accretes. There is one decisive moment that strikes like a sudden blow to the head — the moment when we discover where Christopher is. Not much else happens in A Separation, but the rest of the novel is taut with quiet suspense. Like the burnt landscape, it is barren, always a "whiff of char in the air." It is wonderful to read a book that respects its readers in this way; Kitamura allows our imaginations to do much of the work. All around the narrator, there are fires. The hills, her driver tells here, were on fire for weeks. Now, they are blackened and empty. There is the woman at the hotel desk, simmering with feeling and desire, and her angry lover. A shamelessly infatuated couple grinding on each other on the hotel balcony. But the narrator, cool, aware, analytical, is never on fire. Our narrator, aptly unnamed, would never presume to be on fire. Water seems like a more likely element for her, with its cool distances, unexpected undertows, unseen creatures, vast and unknowable space. The emotion she expresses most often is discomfort or embarrassment. Love, marriage, loss, mourning — she experiences all of these, but always she keeps one eye above the dance, watching the choreography of custom and ritual. Remembering her early infatuation with Christopher, she doesn't reenter the feeling — she just notes, "It must have been very tedious for those around me." 'A Separation' does not leave us with any of those satisfying nuggets of wisdom or emotional climax we sometimes pan books for. She is a translator from French, but even her records of conversations in English have a detachment, a feeling of being in translation or stilted paraphrase. "Sexually she found him very attractive," the narrator notes clinically of a friend, rendering the idea bloodless. At one point, a sentence appears that looks like a muted, unattributed paraphrase of a line from Hamlet: "You cannot say you did it out of love, since at your age romantic passions have grown weak, and the heart obeys reason." On investigation, it appears to have been taken from the Sparknotes. An accident? Possibly. But the paraphrase is more apt, somehow: She smoothes the feeling out of even Hamlet, blunting his daggers, rendering a moment of filial rage and disgust and desire inert. The meaning is there, but all the wildness of feeling is muted, like splendid furniture covered with a dustsheet. The narrator, it seems, would be almost embarrassed writing lush or gorgeous prose — instead, her sentences are awkward and anemic, with the unlikely beauty of a lunar landscape. A Separation does not leave us with any of those satisfying nuggets of wisdom or emotional climax we sometimes pan books for. Instead, it left me with an indistinct but unshakeable mood, a sense of being at sea with the knowledge that the shoreline isn't quite where I thought it was, and the currents are strong.